Self-sustained living in this spacious approx 1866 sqr. 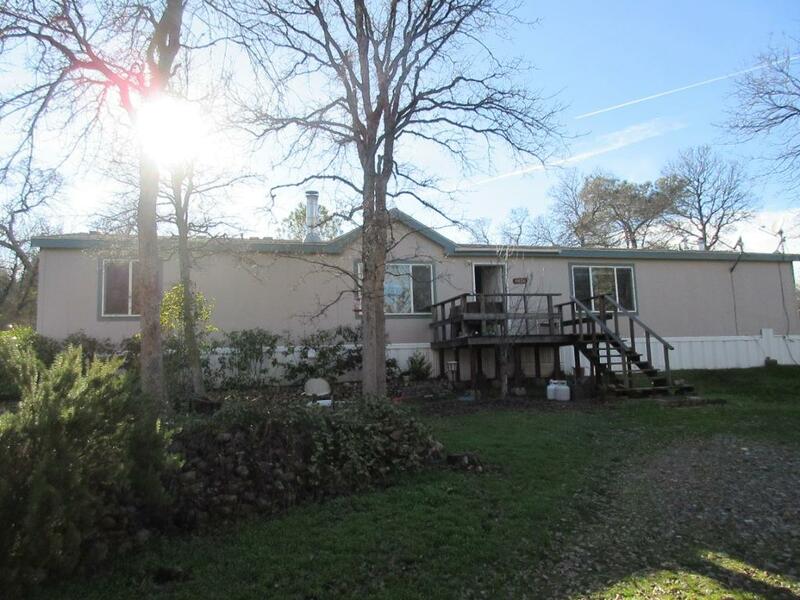 ft manufactured home w/foundation, on 4 1/2 oak studded acres. Officially a 2/2 but has 2 rooms with no closets. Separate living room and family room, indoor laundry and large kitchen. Power source is 24 solar panels w/battery bank and back up 7000 watt generator. Completely fenced with fruit trees, fenced in garden area, seasonal pond. Sean Wilson (License# 01307266) with WILSON REALTY INC.